Last year was all about the Battle Royale releases and announcements for mobile but it looks like 2019 is the year of the mobile MMORPG with all the announcements recently. Nexon M just announced the worldwide release of the expansive MMORPG for mobile devices in the form of AxE: Alliace vs Empire. AxE: Alliace vs Empire has been built from the ground up for iOS and Android and isn’t a port of something that already exists on PC or consoles. 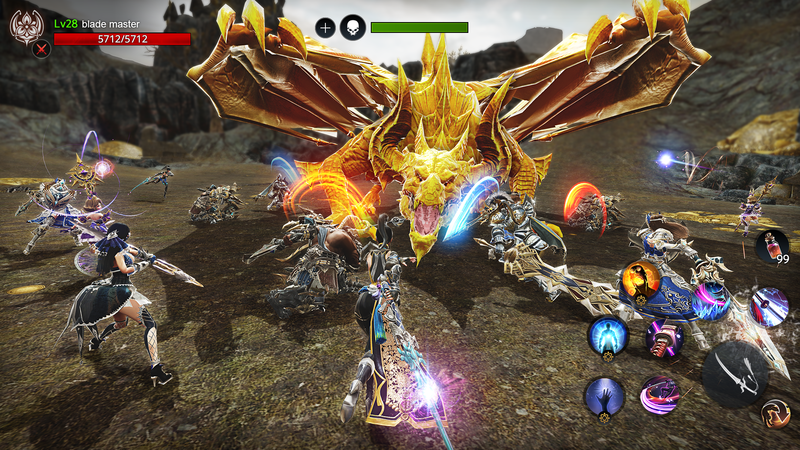 Nexon M claims this will be a console quality mobile MMORPG experience. AxE: Alliace vs Empire‘s immersive world will have 150 players together. These battles will take place in real time across 75v75 player vs player combat. The game has been built using Unity 5 (with Vulkan). When it comes to game modes there will be co-op and competitive modes. Pre-registrations are now live with an in game starter pack reward that has in game currency and items. Nexon M’s AxE: Alliace vs Empire is currently set to hit iOS (both iPhones and iPads) and Android “worldwide". Worldwide means different things for different publishers but I’m hopeful that this one hits as many countries as possible. It has already seen millions of players in Japan and Korea. If you’re interested in getting in on the 75v75 action, stay tuned for more info for AxE: Alliace vs Empire and pre-register here.